Peak horse power (HP) is far from being the only thing that matters when choosing Shop vacuums.Other factors such as Air flow and Amps are also important in how much power shop vacuums will deliver. Let Alphachooser sort things out for you and compare each model based on their specifications and features. Currently, the best shop vacuum 2019 is the RYOBI P3240, followed by the Ridgid 50343. 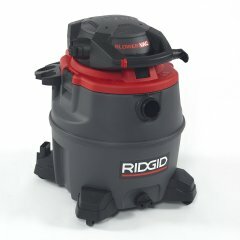 Here is the full top 10 list, then special categories and an extensive list of shop vacuum brands and models. Given this shop vacuum's compound ranking of 92%, we are confident that the RYOBI 18V ONE Plus 3 Gallon Wet Dry Vac is currently Alphachooser's best shop vacuum 2019. Furthermore, we think that our 206 reviews sampled from our sources give us a high confidence level (more on confidence levels) that pushes us to label it a "no-brainer best choice." 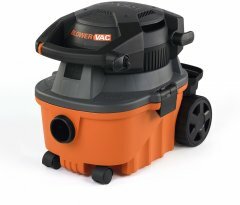 With its star rating of 4.5 averaged from 110 reviews, here is what we consider second best shop vacuum. * This list is based on an in-depth analysis of hundreds of shop vacuum reviews from around the web. 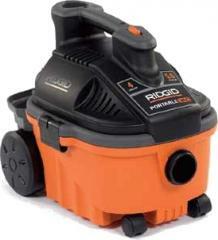 The Ridgid HD0600 is the newest Ridgid model. The Shop-Vac 2030227 is the newest shop vacuum by Shop-Vac. 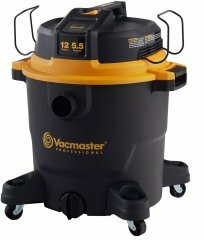 The Vacmaster VJE1412SW 0201 is the latest shop vacuum by Vacmaster. The Workshop WS0500ASH is the newest shop vacuum by Workshop. The Craftsman 16825 is the newest Craftsman one. 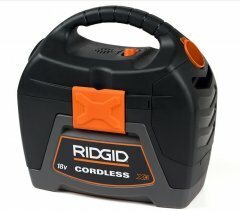 The Stanley SL18125DC is the latest Stanley model. The DeWALT DXV04T is the newest DeWALT one. The Dayton 1VHF9 is the newest model by Dayton. The Milwaukee 8960-20 is the latest Milwaukee shop vacuum. The Pullman-Holt B160487 is the latest model by Pullman-Holt. The Dustless Pit Hawg is the newest shop vacuum by Dustless. The Snow Joe ASHJ202 is the latest shop vacuum by Snow Joe. All Snow Joe shop vacuums. 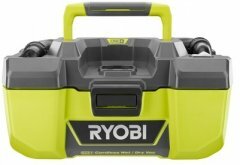 The RYOBI P3240 is the newest RYOBI one. Heavy-duty wall-mountable shop vacuum that boasts its 30-foot crush-proof hose and its heavy-duty construction and 10-amp motor. 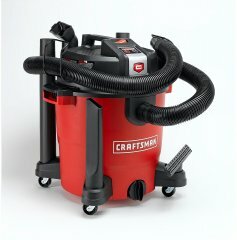 A wall-mountable, wet and dry vacuum and blower that can handle multiple tasks including use in fine-detailing of autos. Wall-mounted vac with a one-button release. 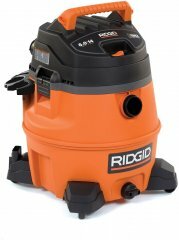 Small 2.5-gallon wet/dry utility vacuum that trumpets its auto-shutoff feature and its 2-HP motor coupled with an air and noise diffuser. 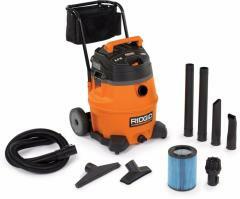 Car-centric wet and dry vacuum that runs on 12v and includes an air inflator feature to boot. 20-gallon capacity shop vacuum equipped with automatic filter-cleaning and air-shunting features meant to prolong both filter and motor life. Powder-coated 7-gallon garage vacuum cleaner that is powered by a 120-volt Ametek Lamb motor, and is equipped with a HEPA-style bag.